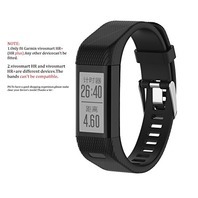 - Only fits for Garmin vivosmart HR+,NOT for vivosmart HR. Please confirm your tracker model before making orders. - Made of top genuine silicone with stainless steel buckle,durable and waterproof. - There are 18 holes for the striped band. 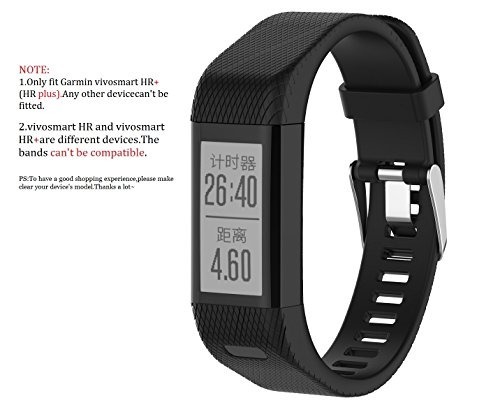 Fit 5.70in-8.26in (145mm-210mm) wrist. - 1 Screwdriver and 4 Screw nuts will be included.Easy to assemble and remove through pins, with Screwdriver and Nuts. 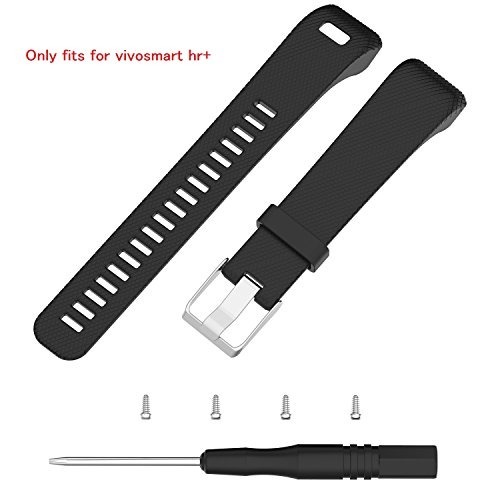 - Available in 8 colors:Black,Orange,Cirrus Blue,Rose,Red,Lime,Purple,Teal.Personalized your Garmin vivo smart HR plus with these refined replacement wrist bands.Please note:The bands only fit for vivosmart HR+(HR plus).They really can't fit for vivosmart HR.